Caroline International have announce the release of Ultravox! early work recorded for Island Records in 1977 and 1978. As most of you know this is known as pre Midge Ure Ultravox era when John Foxx was leading a band. 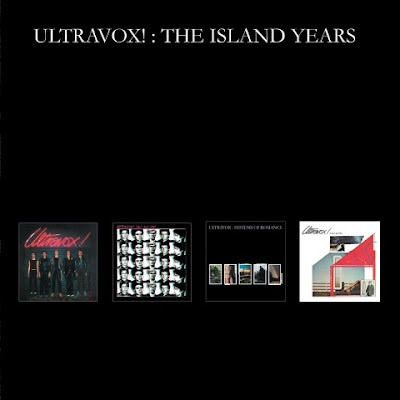 This box set will include the first three albums namely 'Ultravox! ', 'ha!-ha!-ha!' and 'Systems of Romance' plus and a bonus disc of rarities. Each of the CDs are packaged in their own wallet and housed in a clamshell box. 'The Island Years' is released on 20 May 2016.